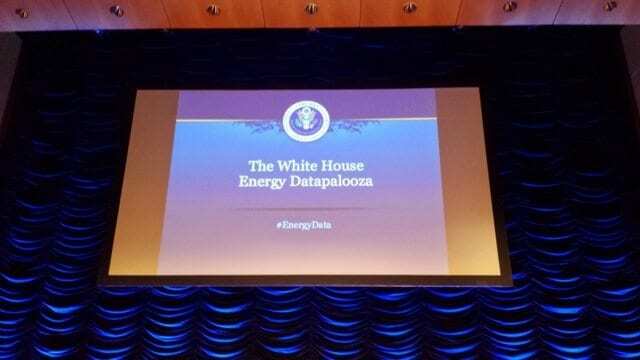 Just as its name suggests, Energy Datapalooza is an event celebrating big data in the energy sector. 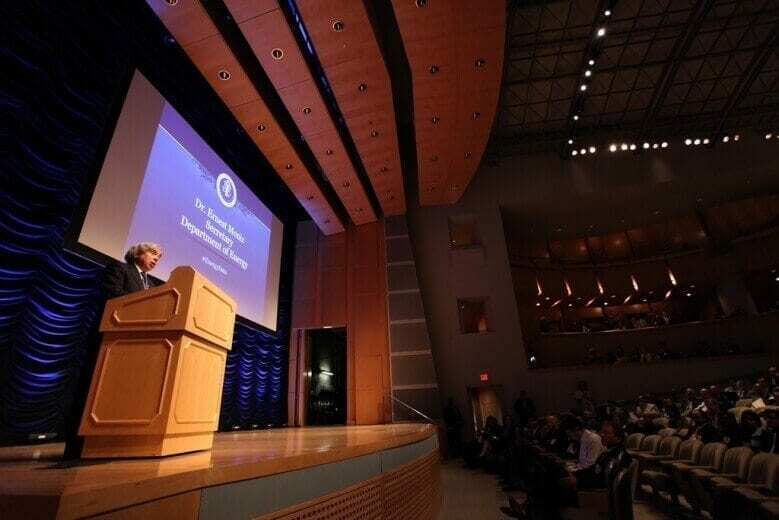 First hosted in 2012 and sponsored by the White House, the United States Department of Energy and the US General Services Administration, the event highlights entrepreneurs from across the United States and Canada who are opening markets with their innovative energy-focused apps, services and products. how open data is enhancing the integration of renewable energy. 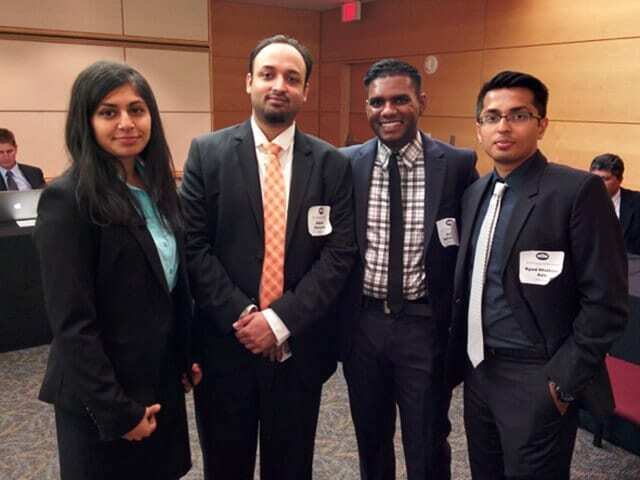 Representatives from the US federal government presented plans for improving government efficiency using energy data, as well as information on the growth the clean energy economy is expected to experience over the coming years. Ernest Moniz, US secretary of energy, reiterated the government’s commitment to providing public access to government data for commercial use, ensuring that programs like Green Button can continue to gain momentum. Ernest Moniz speaking at Energy Datapalooza. Photo courtesy of the Energy Datapalooza website. One focus of the event was bringing together entrepreneurs from across Canada and the US who have been working on the Green Button initiative. Sasha Sud, energy data project manager at MaRS Data Catalyst, was invited to attend the event, along with five Canadian startups. Wattsly, the company that won the Gold Award and the People’s Choice Award in the Energy Apps for Ontario Challenge attended the event. 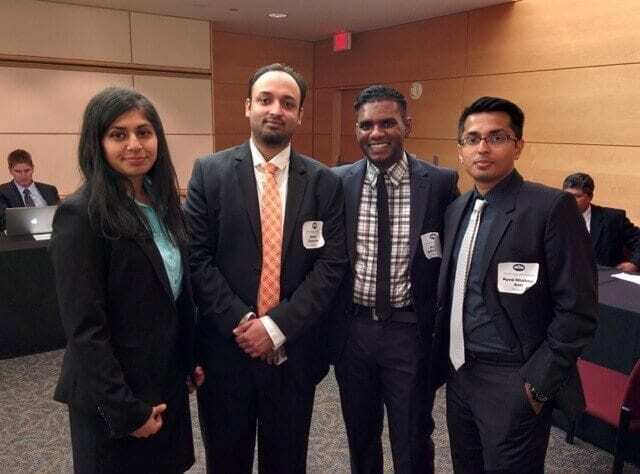 The team had the opportunity to meet with winners from energy challenges across North America to share best practices and insights and to develop a network. BuiltSpace and Eyedro Green Solutions, two companies engaging with MaRS Cleantech Venture Services, also attended, representing Ontario’s Green Button pilot program with Hydro One, London Hydro and the Ministry of Energy. MaRS venture clients Energent and Zerofootprint were also invited, but were unable to attend. Eyedro and Zerofootprint’s apps are directed at consumer engagement, while BuiltSpace and Energent are targeting commercial customers. MaRS venture client BuiltSpace team at Energy Datapalooza. BuiltSpace’s software allows building managers and operators to effectively manage proactive and reactive building maintenance. Rick Rolston, president of BuiltSpace, was impressed by the co-operation already underway between entrepreneurs and government as well as between entrepreneurs and established companies. These relationships are bringing together the key players who can address building performance challenges across the country. An innovation showcase featuring 30 companies and researchers who are using energy data in novel ways followed the presentations. Entrepreneurs, investors, government representatives, academics and members of the energy industry networked throughout the afternoon, discovering new uses of energy data in the process. 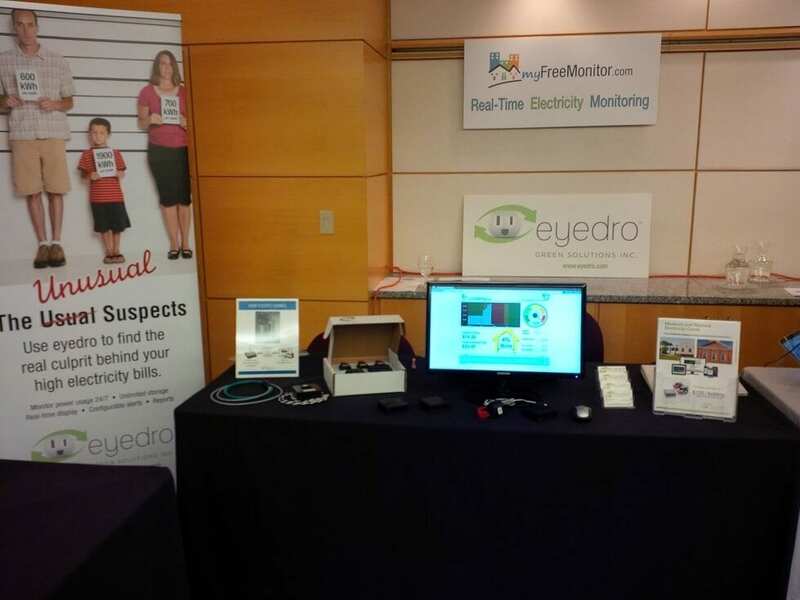 Eyedro Green Solutions had a booth set up for MyFreeMonitor.com, the company’s cloud-based electricity monitor. Eyedro team members received many inquiries about their technology and were able to interact with dozens of potential partners. The Eyedro Green Solutions booth at Energy Datapalooza. Eyedro’s cloud-based platform allows users to monitor electricity in real time. Representatives from Hydro One, London Hydro, the Building Owners and Managers Association and the Independent Electricity System Operator were also at the event. These organizations are important contributors to the energy data conversation, creating opportunities and moving Ontario’s Green Button forward, and it was great to have them networking with colleagues from across the US. The unique mix of people at Energy Datapalooza generated fruitful conversations and exciting next steps for the energy data sector in the US. Our continued cross-border collaboration will help to strengthen the Canadian energy data sector.